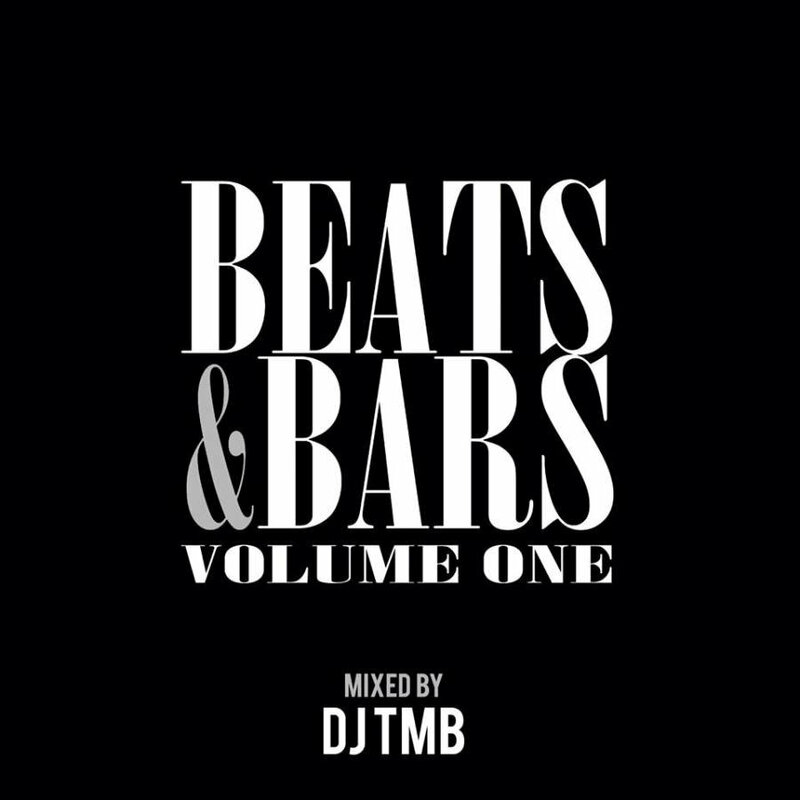 Beats & Bars, the UK’s travelling Hip-Hop showcase have dropped the DOPE first volume of their NEW mixtape series with London’s DJ TMB on the one’s and two’s. Featuring some of the best talent on both sides of the Atlantic from Bronze Nazareth, Kevlaar 7 & Illah Dayz (Wisemen), Sticman (Dead Prez), Chris Rivers, Rich Quick, Genesis Elijah, Shakezpeare, Trademark Blud, Soloman Gehazi & D7, LATE, Novar FLIP, JD, Filfy, 7even Spherez, Rediculus, Big Ribzy, Alex-is, Nero DB, Jae Sosa, our HHLAT brother Nephilim, Mr Melta, Pact Prolific (Lost Alliance), Nature The Kidd, Jay Griffy, Tommy Oliver, Ryshon Jones, TruestPain, Self Taught, DJ Tray with production from Bronze Nazareth, Dr. G, Bunker Beats, Rediculus, Lost Alliance, MPC Boyz, Danny Bones, The Wurxs, Charlie Mac, Mr. Feen, Hirolla Beats, Ryan Broadley, DSJ Beats, KBthecrazyguy, this is a FREE download you need in your life!!! DJ TMB is the resident DJ for all of Beats & Bars London shows as well as being well-respected in the underground Hip-Hop scene both sides of the pond. Starting out playing at house parties during the late eighties, he soon became addicted to the turntables, buying vinyl and began dabbling in Turntablism. Playing on various pirate radio station’s both FM and internet based, he exploded on the scene in 2010 after joining with Redphone Records, collaborating with many of the undergrounds hottest artist’s and DJ’ing for Matt Maddox, Adlib, Black Pope and many more, in various cities around the UK and also Staten Island, NY. Starting off in Wolverhampton, Beats & Bars has been running since August 2012 and has had various artists perform such as USA acts Bronze Nazareth (Wu Tang/Wisemen), RocknRollas (Detroit), Esko (Los Angeles), Rediculus (Chicago), Rich Quick (Philadelphia) and UK acts such as Blak Twang, Rodney P, Ty, Skinnyman, Mystro, Tony D, Phili’n’Dotz, Micall Parknsun, Genesis Elijah, M9, Kingpin, Skuff and more. In April 2015, Beats & Bars went and have done events in Wolverhampton, Birmingham, Redditch, Stoke, Manchester, Bristol, Swindon, Streatham, Finsbury Park, Canterbury, Dudley, Ipswich, Derby, Redditch, Leicester, Newcastle, Edinburgh, Norwich, Portsmouth, Bristol, Cardiff, Wednesbury, Coventry as well as slots at Boom Bap Festival in Suffolk and The Summer Jam Festival in Bromsgrove.